As crocheters, we all love looking at colorful yarn and creating with it. It gives us a warm and fuzzy feeling inside. Color Psychology: Does It Effect How You Feel. I can honestly say that colors do effect how I feel. 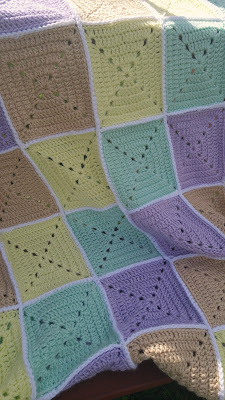 I love looking at different colors and putting together beautiful palettes, but sometimes certain color combinations can evoke different feelings for me, such as this Cheer Me Up blanket! When I seen an inspirational blanket online, I had to make one of my own! I omitted one color they had and used something else. It was mostly single skeins I had that weren't set together for a specific pattern. The solid granny square is super easy. Just ch 4 and then join the loop with a slip stitch in the first ch. Ch 3, and put 2 dc in the ring. Ch 2, then do 3 more dc. Repeat two more times for the center cross. 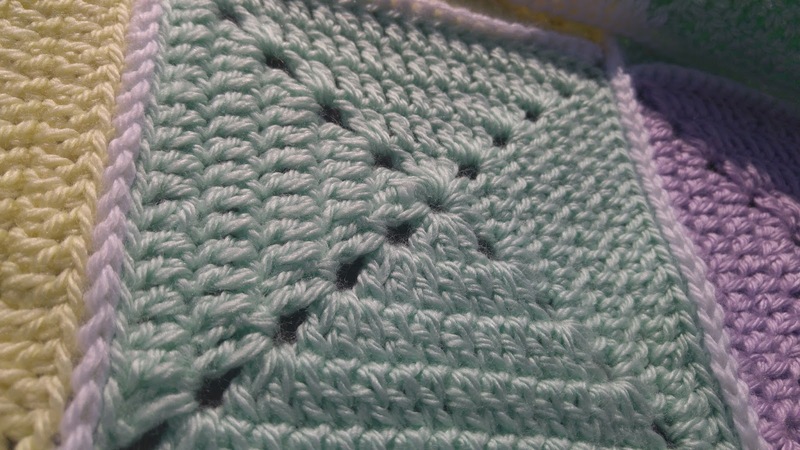 Next, for the repeating rounds, slip stitch to the corner, ch 3, then dc, ch 2 and 2 more dc in the ch 2 space- corner made. Put double crochets into each double crochet, then make the corner again and repeat around. Repeat this form all around for a total of 4 rounds plus the center cross. The square should equal around 5 1/2". 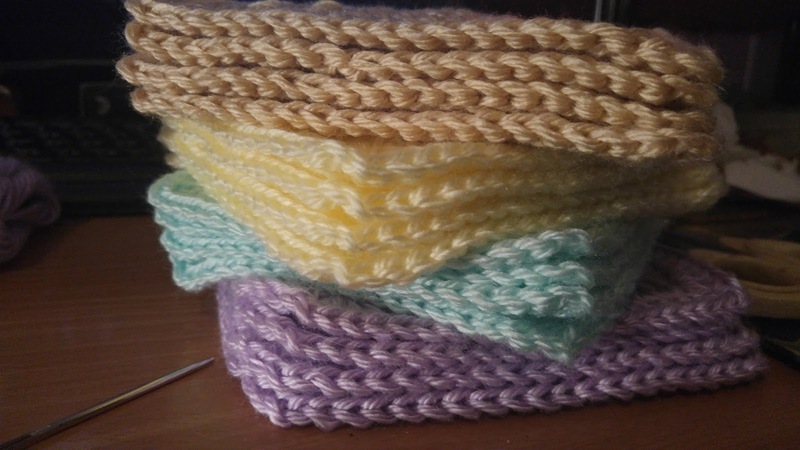 I used four different colors and made 8 squares per row with a total of 6 rows. 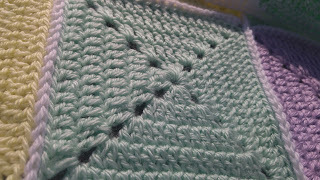 Putting wrong sides together, I used just single crochet stitches in the back loops of the double crochets to join them. This makes a neat little ridge in contrasting color. For the border, just double crochet one time all the way around. My final blanket measures 52" x 72". I used a 5mm/H8 hook. So this winter when you're feeling blue, just get out your Cheer Me Up blanket, cover yourself up and bask in the beautiful warmth!